Saving money is never easy, it essentially involves put money elsewhere that you could otherwise be spending on nice things. But fortunately, we’ve found some neat things to do with your money other than a savings account! Here are five easy ways you can easily save. Plum makes saving money really simple by just doing it for you. It lives within your Facebook Messenger so there’s no need to download an app. You link your current account to Plum and then it analyses your daily transactions to learn what you’re spending your money on. It will then work out how much you can afford to save and automatically transfer a small amount into a savings account. 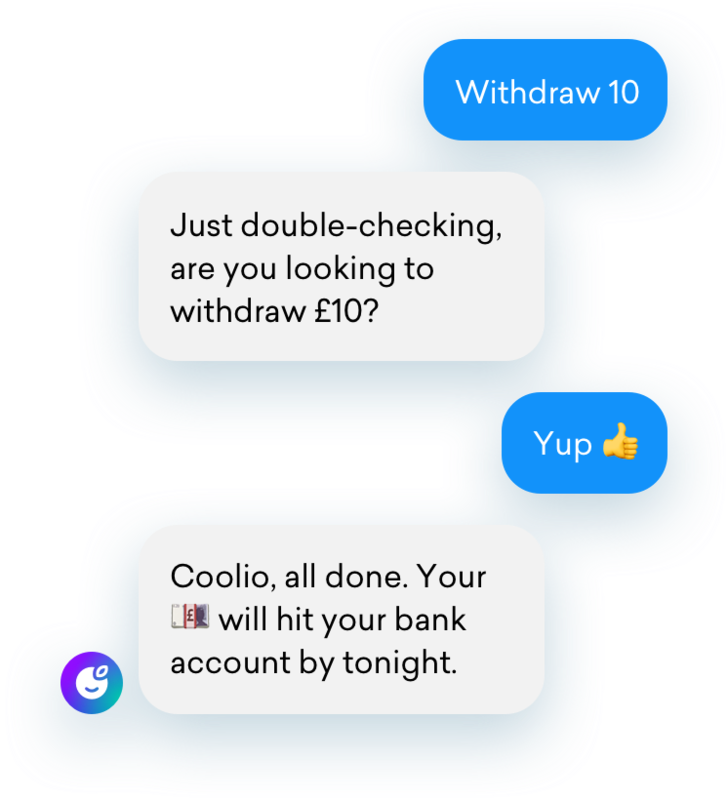 You can also chat to the AI and ask it to withdraw funds or spontaneously save. A new feature is the opportunity to invest your saved money to earn interest of up to 23.3% in companies like Apple and Facebook. Be careful though, you capital is at risk with investing, which means you could get back less money than you put in. You are able to select a risk level, to indicate how likely your investment will return as a loss. Gone are the days of traditional banks with no seeming incentives for using them and enter the new era of banking. Challenger banks like Revolut are not only great for using abroad without fees but are also able to help you budget better! With Revolut you can use a vault to save your money in for a financial goal. You can either transfer a one-off amount to there, set up a reoccurring transfer or cleverly, you can choose to round up your transactions and add that to your vault. Those rounded up pennies will quickly add up! Challenges are usually a bit more fun and satisfying than squirrelling away some of your income. But what if I told you it’s possible to save over £650 in just one year by only saving pennies? It sounds a bit crackpot but if you add 1 penny to your savings on day one, and then 2 pennies on day two, 3 pennies on day three and so forth, these will quickly add up! It’s a simple way of saving that doesn’t feel like it hurts your wallet too much. If you need to keep track of your days, here is a handy printable calendar. While this seems like a bittersweet way to save money, it can be very financially beneficial in the long-term. Many people have borrowings that need to be repaid as well as mortgages, and it is well worth repaying loans early to save yourself money on interest. As interest rates are currently so low on savings account, the money you save on interest is a lot better than what you’d be getting in a standard savings account. If you can afford it, pay off your high-interest debts first before making large mortgage repayments or the equivalent. If you do want to pay off your mortgage early to save, you need to check to see if your mortgage lender allows you to overpay without incurring fees. Many lenders allow you to pay 10% over your mortgage back per year without charge. People generally pay for everything on their cards and even their phones, tapping away small purchases every day. However studies have shown that people spending with their cards shell out up to 18% more than if they use cash. It is easier to pay with that little plastic card as it physically has no monetary value, whereas cash does. For example if you lost your card, not a problem, phone up the bank and cancel it. On the other hand if you’ve lost cash, it’s gone and you cannot replace. Next time you go shopping, withdraw what you think you need in cash and leave your card at home. This way you have a tangible amount of money you can use that you can’t go over. Everything You Need To Know About Going To Oktoberfest This Year!